While not all children love all camps, there’s a camp for every child to love. To some extent, it’s a valid question. We tend to think of the tangibles—activities, events, facilities—as the cornerstone of the camp experience. Further, we tend to think of a specific range of activity as representative of what camps are: canoeing, arts and crafts, swimming, archery. Camps that fall outside of those parameters can, to some, look not much like camp at all. Brick Works is one of them. 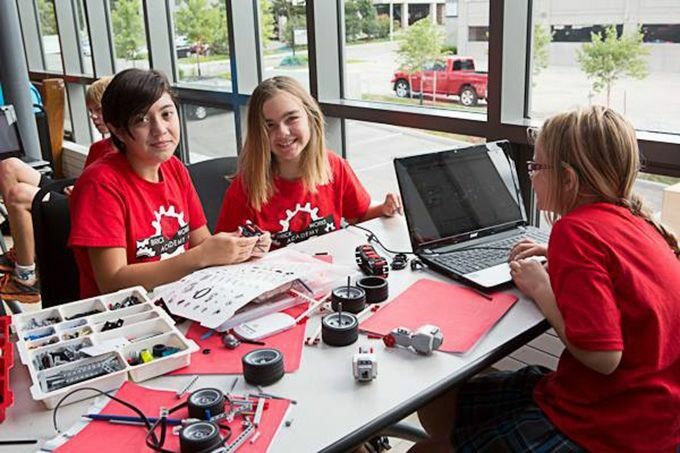 The programs there began with Lego and Lego robotics and have grown considerably from there, including coding programs for kids, and digital game design. Not a s’more in sight. Camps like Brick Works momentarily confound our sense of what camps are, though they can also clarify and affirm what it is that camps do best, and what they do better than other learning environments. In all camps, traditional or innovative, activities/events/facilities don’t exist for themselves, or even necessarily to promote the skill sets they seems to represent. No one, for example, is looking forward to a career in making friendship bracelets. Even the sports, at least outside of specialty camps, aren’t conducted with the elite athlete in mind. Instead, as camp directors will tell you, the programming is a tool used to get to the hearts and minds of the kids, to help them to grow together, develop, and gain confidence in who they are and what they can do. From public speaking programs to sailing the high seas on a tall ship, it’s not the activity so much as what is done with it, and what it is employed to accomplish. That, in and of itself, can be a transformative experience, and that’s precisely where the work of Brick Works begins: per Goodfellow, “to let them know that, yes, this is a place where you can celebrate who you are.” Launched in Waterloo with a few hundred campers in 2012, this coming summer Brick Works will draw more than 6000 participants to 13 locations across southern Ontario. That kind of growth is uncommon in the world of kids’ programming, and is a testament to the approach and quality of the sessions on offer. Each location is managed by certified instructors with professional teaching experience in STEM-related subjects. These aren’t people who come to tech casually, but who themselves are invested in delivering substantive programming that will build sound, transferable skills. It’s fun, yes, but it’s more than that. It’s fun that can be taken seriously. Which, of course, is what any camp should be about. They aren’t resorts, but unique environments designed to achieve a specific end: growth. Which is why you’re likely to hear Goodfellow speaking in the same terms that directors of more traditional camps do. “We want the kids to leave with a greater self-confidence, more grit.” And they do. Because, video games or otherwise, it’s camp. That’s what camp is. First slide details.Current Slide Second slide details.